When it comes to coffee makers, priority number 1 is a machine that’s going to reliably deliver from day to day. 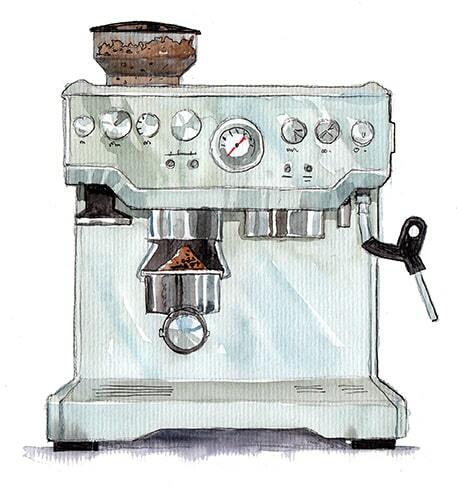 There are plenty of great, affordable options for coffee makers that can do just that. 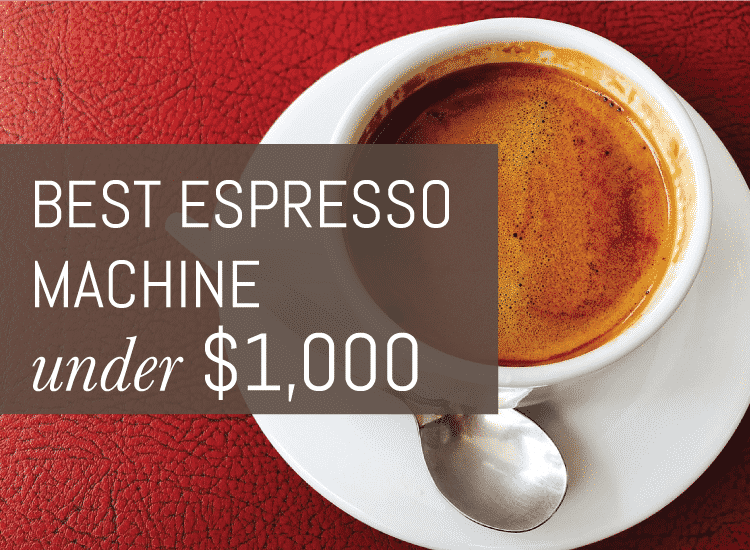 But if you look a little further, and if you’re willing to spend a little more on your coffee maker, you may find a few premium features that are hard to pass up. A good mid-range coffee maker should provide you with some extra, upgrade features to enhance your brewing experience, without breaking your budget. The Final Shot: All of the options in this category are great picks, but the Hamilton Beach is the favorite for its versatility. 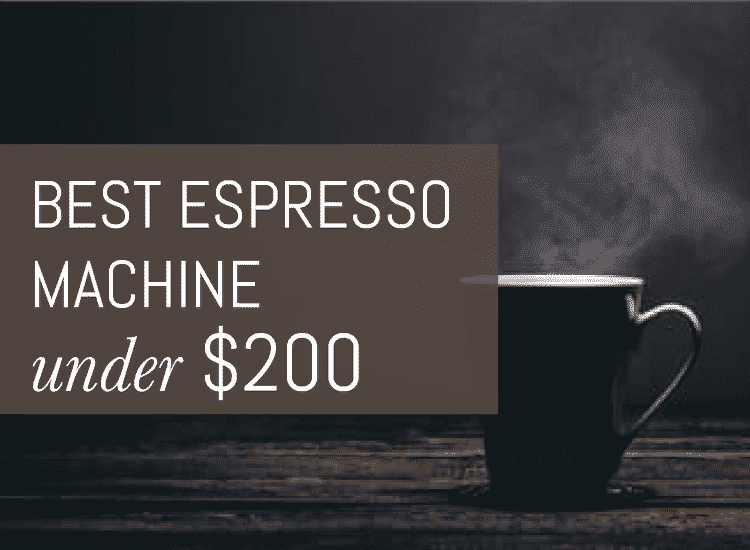 This machine offers both single-serve and full pot brewing, accommodates dispensing into a full size travel mug, and features brew strength customization. A few of my favorites are customizable brew start times and shut off times, extra-large carafes or water reservoirs, and quick brewing. 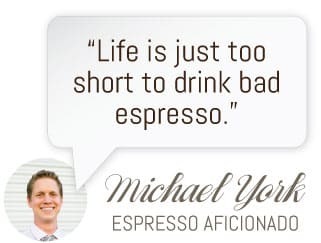 The primary purpose of a good coffee maker should be to brew good coffee, but a great coffee maker will brew you good coffee while catering to your tastes and lifestyle. Solid, budget friendly coffee makers can brew you a cup of coffee no questions asked. But if you spend a little more in a nice mid-range coffee maker, you’ll likely find some benefits you didn’t ask for, but won’t soon give up. The Hamilton Beach Single Serve Coffee Brewer and Full Pot Coffee Maker is a great example of getting a lot more for a slightly higher budget. One of my favorite features about the machine has to be its versatility. This Hamilton Beach model has two different options for brewing styles to accommodate either single cup brewing or a full pot. The single serve option on the Hamilton Beach includes a mesh filter that fits into the brew basket which allows you to brew coffee from the grounds of choice. Or, if you’re in a hurry you can opt to use a pre-packaged soft pod instead to save you a few minutes on your way out the door. The front of this model presents a more traditional coffee maker design. Filters and grounds can be loaded into the top of the coffee maker so that you can brew a full 12-cup carafe of coffee for the times when you may need a refill, or when you’re serving guests. The Hamilton Beach also sports two different water reservoirs for the two different brewing methods. The carafe side reservoir is extra-large for increased capacity and has water filler markings to help you keep track of your brew. Both brewing options are controlled by the front facing panel display that includes a clock and timer function so that you can get your coffee ready and then program it to start brewing at a specific time, and it also includes an automatic 2-hour shut off function built in. The Hamilton Beach also includes regular and bold brew strength options, so that you can create a cup of coffee perfectly suited to your taste. No one size fits all brewing here. I also love that when you’re opting for single cup brewing, there is enough clearance to fit a full size travel mug under the dispensing spout. This is so handy for those of us who take our coffees with us on the commute to work. Overall, the versatility of this machine makes it an ideal option for brewing coffee in nearly any situation. Having both brewing style options in this one coffee maker is a simpler solution and takes up less counter space than buying multiple machines to accommodate your brewing needs. The extra money you might spend to purchase The Hamilton Beach Single Serve Coffee Brewer and Full Pot Coffee Maker over a simple, traditional coffee maker will be well worth the convenience it provides. This machine also has a notable 4.3 out of 5 star user rating on Amazon with over 4,000 reviews. At first glance, the Cuisinart DCC-3200 may just look like another traditional coffee maker, but when you take a closer look, you’ll discover that this machine offers some premium features for enhancing your coffee brewing rituals. To start with, this machine includes both a charcoal water filter and a gold tone water filter. The water filters help to ensure that your brewing water is top quality, so that your cup of coffee will have a great flavor. And when it comes to the DCC-3200, the features are all about making sure your coffee has great flavor. The Cuisinart also boasts state of the art heating technology that allows you to customize the temperature of each particular pot of coffee. It can make a hotter pot of coffee depending on your specific preferences, without burning the coffee and sacrificing its flavor. You can also choose between regular or bold brewing options to further specify the exact flavor you want for your brew. If you’re on the go and like to plan ahead, then the DCC-3200 has some other great features you’ll love. The backlit LCD display supports 24-hour programmability and includes brewing customization for 1-4 cups of coffee. On top of that, it also includes a customizable 0 to 4-hour automatic shutoff feature, and a self-cleaning function that will keep your coffee tasting fresh without having to take the time to clean the machine yourself. A 14-cup glass carafe is included with the DCC-3200. The extra ounces included in this carafe really come in handy if you like to keep a pot available throughout the day, or if you’re trying to brew coffee for a larger group. While the DCC-3200 may seem like another regular coffee maker, what the machine lacks in innovation it makes up for in quality. It doesn’t boast the neat, single brewing spout like some comparable models, but its design and features mean that you can count on consistently getting a great cup of coffee. It is also a fan favorite on Amazon, with a stellar 4.4 out of 5 star user rating. If you don’t know what a Keurig is, then you haven’t been paying much attention to the coffee world for the past several years! The Keurig K55 is the single cup coffee maker that revolutionized coffee drinking with its popularity and ease. Although it may seem a bit old hat at this point, the Keurig K55 is still a really great brewing option. The Keurig K55 uses K-Cup coffee pods for each individual brew. With plenty of brands and flavors to choose from, you can brew a unique cup of coffee to suit your tastes. If you prefer to grind your own coffee or if you want to avoid K-Cups, the Keurig K55 is also compatible with a reusable filter pod so you can pack your own grounds. The size of the water reservoir on the Keurig K55 is definitely a plus. At 48 oz., you can minimize the number of trips you’ll have to make between your coffee maker and your kitchen sink. Not much of a coffee maker, or in the mood for another hot drink? Not a problem. Not only do K-Cups come in a variety of non-coffee flavors, but the Keurig K55 also has an option for dispensing hot water only which is an incredibly handy extra feature. You can also choose the size and strength of your brew based on several different options. The Keurig K55 has options for 6, 8, and 10 oz. cups so that you can better specify the amount and flavor of each particular cup. While the Keurig K55 is a great option to quick, single cup brewing, it doesn’t offer quite so much in terms of versatility as other coffee maker options. The Keurig K55 is limited to brewing single cups at a time. It’s also limited to brewing with either K-Cups or the reusable K-Cup style filter which means that you’ll be a bit more restricted with regards to your brewing style. The Keurig K55 is a solid option for quick, single cup brewing. It is also well regarded on Amazon with a 4.3 out of 5 star user rating and over 5,000 reviews. When you make the jump from a budget friendly coffee maker to a nice mid-range coffee maker, you’ll get some great features that will enhance your overall brewing experience. Whether it’s quick brewing single serve options, or customizable heating, mid-range coffee makers offer a wider variety of customization.